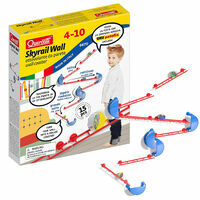 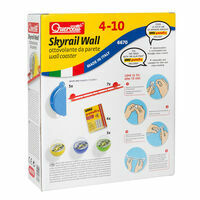 Skyrail Wall | Turn your wall into a spectacular roller coaster! Turn your wall into a spectacular roller coaster! 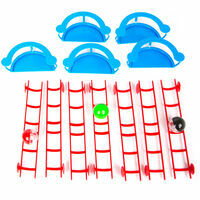 Roll the balls down jumps and rebounds! 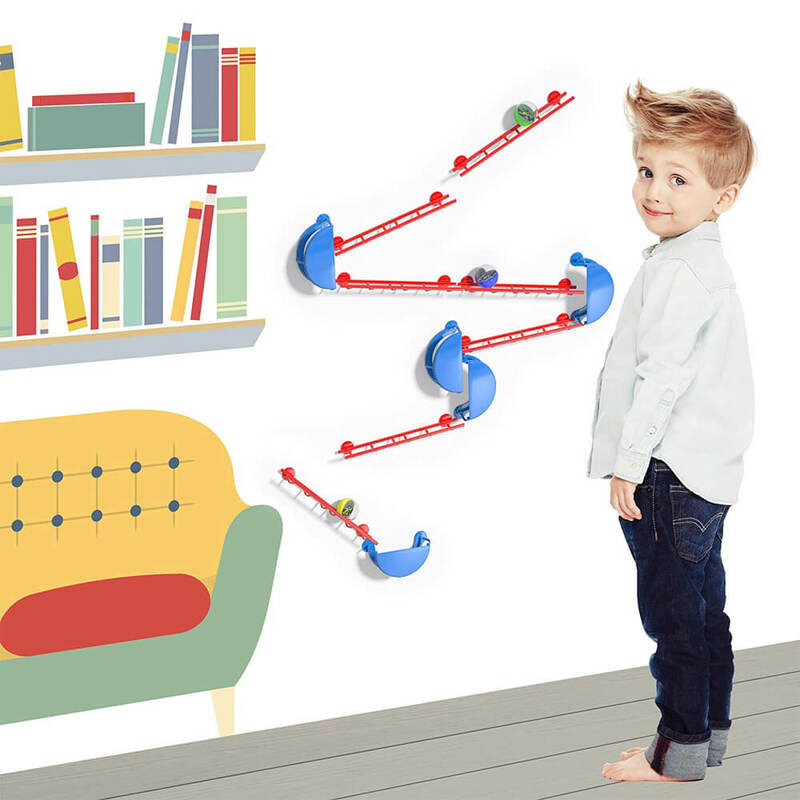 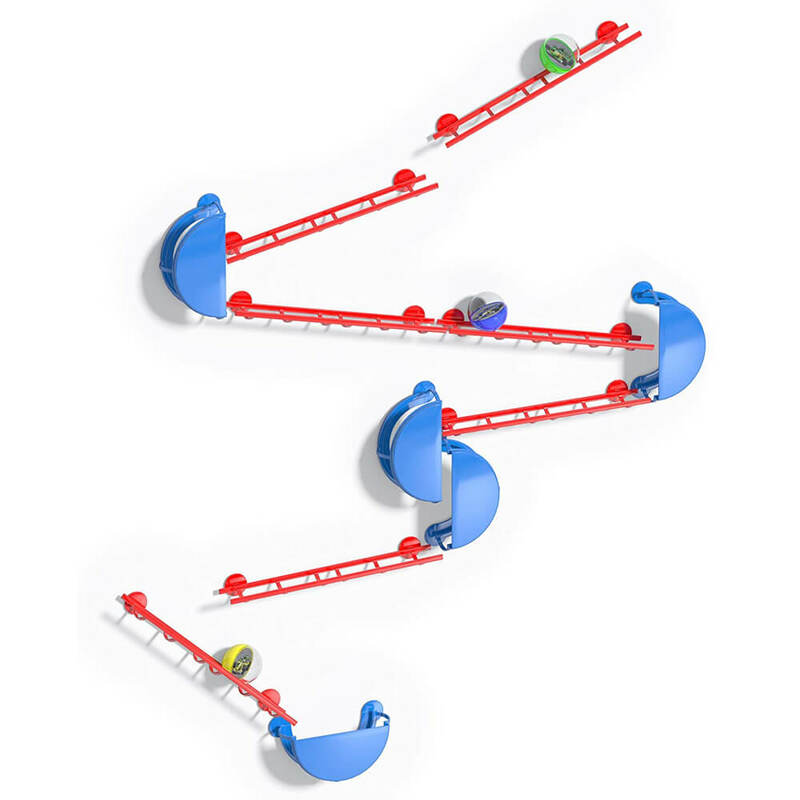 Transform your regular wall into an inter-changeable roller coaster, setting different marble runs as you play! 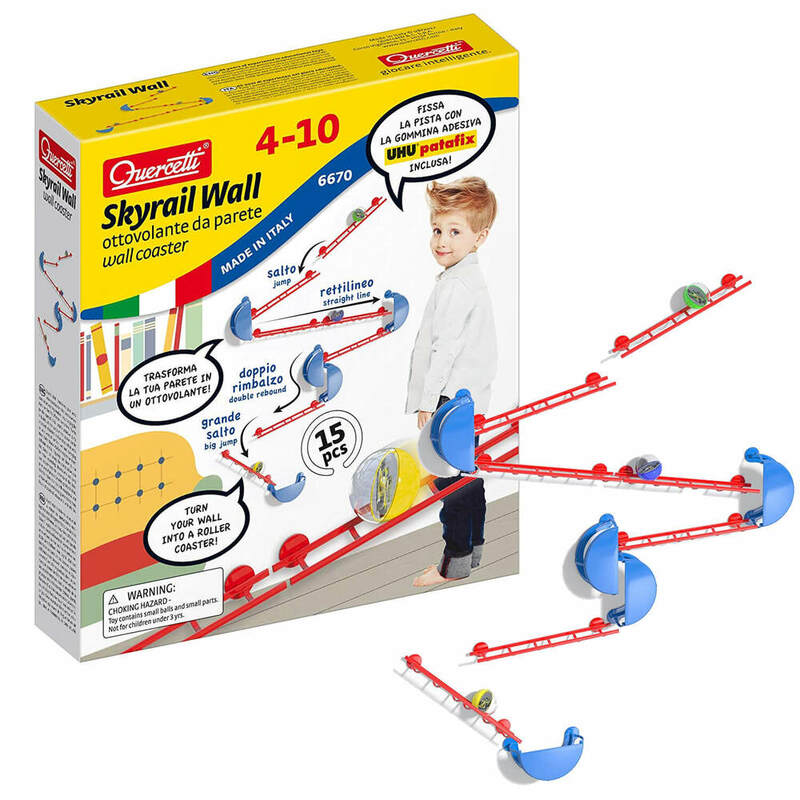 It's up to you to figure out how to run the plastic balls along the Skyrail Wall as you experiment with gravity and velocity. 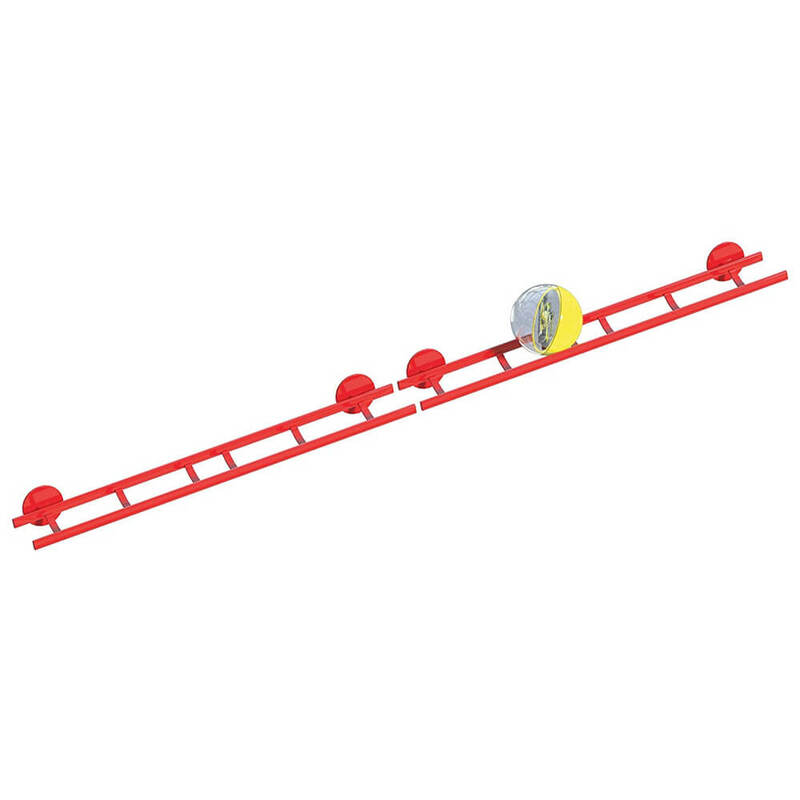 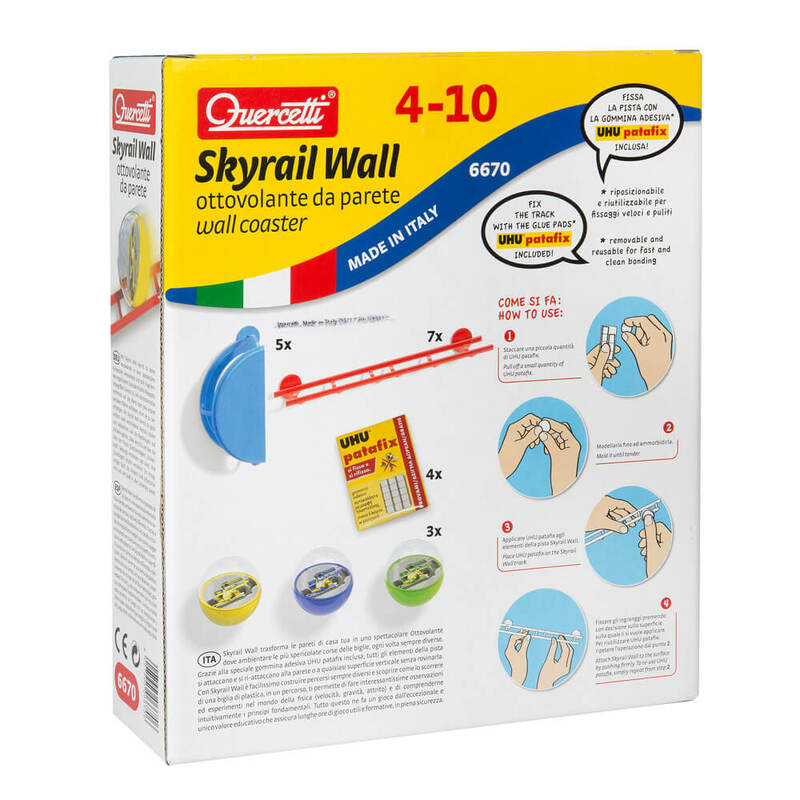 Providing hours of practical and educational fun, attach, detach and re-attach the plastic Skyrail pieces to any vertical surface using the special UHU adhesive pads included. 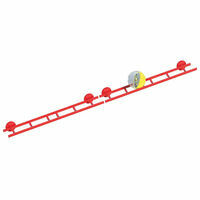 They're special design allows for easy removal and maniupulation without marking or damaging your paintwork! 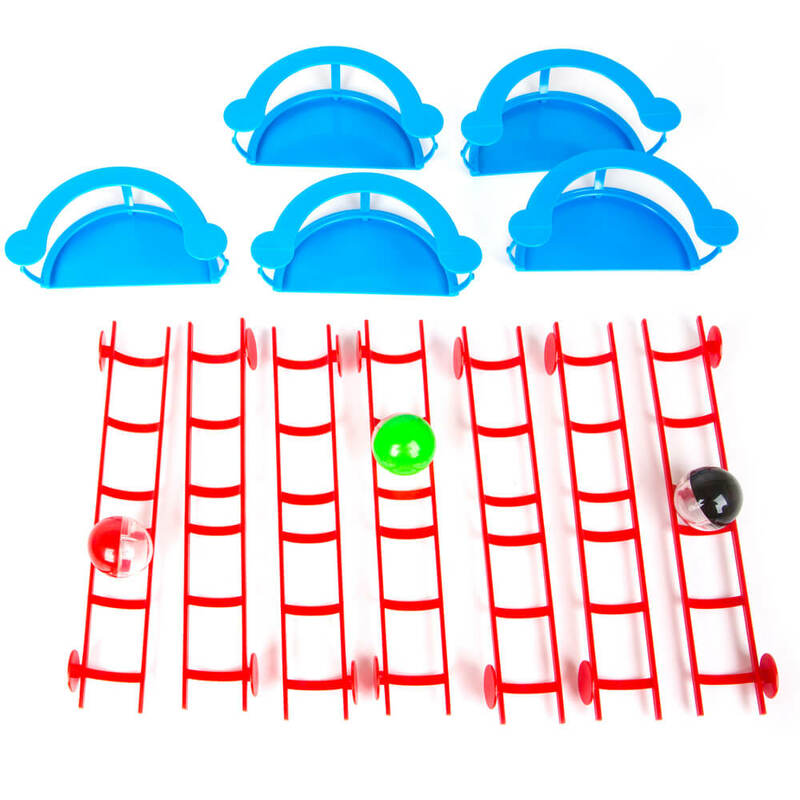 Construct different fast-paced race tracks using the 7 straight rails, 5 corners and 3 plastic marble "race cars" with F1 graphics! 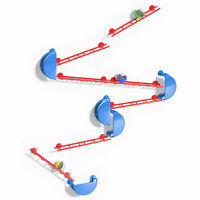 Jump gaps, create re-bounds and race speedily to the bottom.